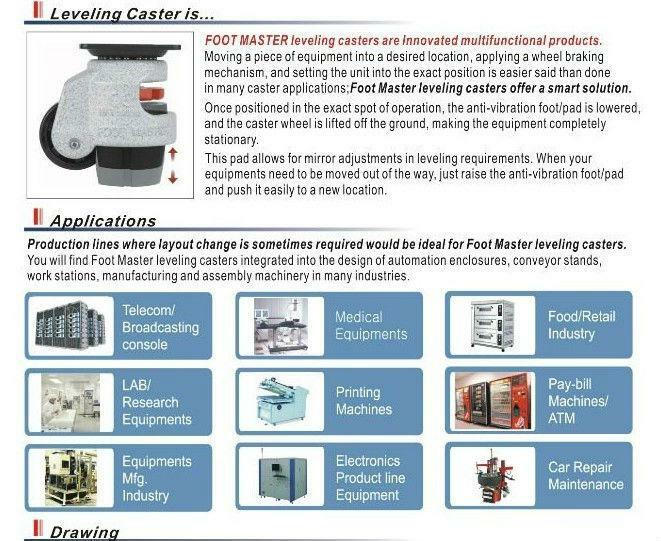 Leveling castor is name brand CARRY MASTFR which are innovated mutifuntion products . 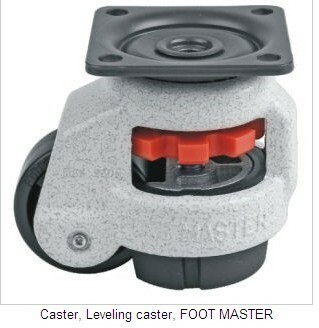 Moving a piece of equioment into a desired location , applying a wheel braking mechanism, and setting the unit into the exact position is easier said than done in many castor applications; CARRY MASTFR leveling castor offer a smart solution. Once positioned in the exact spot of operation , the anti-vibration foot/pad is lowered, and the caster wheel is lifted off the ground , making the equipment completely stationary. For more question or any inquiry,you are welcome to contact us by email or phone! Looking for ideal Silent Heavy Duty Wheel Manufacturer & supplier ? We have a wide selection at great prices to help you get creative. All the Wheels Breaking System Adjustable Wheels are quality guaranteed. 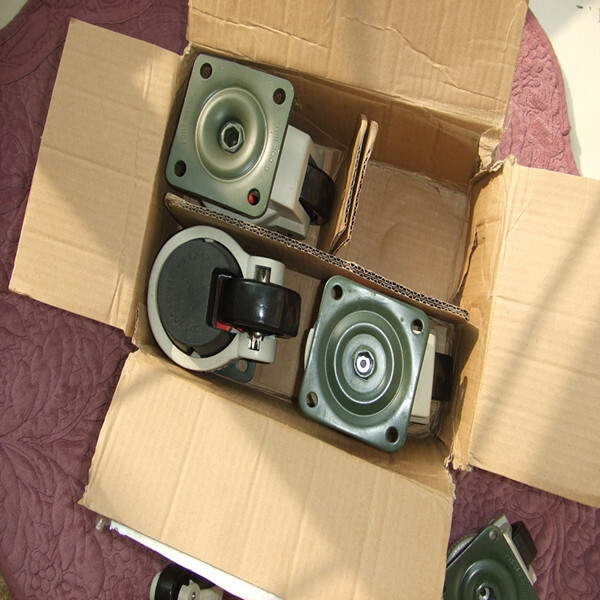 We are China Origin Factory of Silent Caster Wheels. If you have any question, please feel free to contact us.